Are the Feds Going Too Far in Search of Scalps? Consider the Yates Memorandum issued earlier this fall (technically the “Individual Accountability for Corporate Wrongdoing” memorandum). In a memo to the Justice Department’s prosecutors and civil litigators, Deputy Attorney General Sally Quillian Yates asserted that because corporations can commit crimes only through people, it is DOJ’s prosecutorial duty to hold individuals accountable for the actions that they cause corporations to take. This is an admirable sentiment in the abstract but often difficult to apply in real life, where missteps can have serious human consequences. Prior to the Yates Memorandum, corporations received DOJ credit for cooperating with law enforcement by voluntarily disclosing troublesome issues and transactions at an early stage. Those entities with robust training programs and efforts at remediation received less onerous fines. The “carrot” of DOJ rewards for good corporate behavior produced earlier notifications and quicker efforts at redress, which generally resulted in deferred prosecution agreements or similar settlements. Directs prosecutors to focus on individuals at the outset of every investigation. Promotes prosecution of individuals regardless of their ability to pay likely penalties. Prohibits the use of settlements that provide protection from criminal or civil liability for any individual absent extraordinary circumstances. Instructs prosecutors not to resolve corporate cases without a clear plan to resolve related individual cases, including a direction that any declination to prosecute individuals must be approved by the U.S. attorney or assistant attorney general in charge of the investigation. Few, if any, prosecutors will want to be the one who failed to prosecute the corporate officer who led the company astray. More substantively, the Yates Memorandum requires corporations to turn over information about individuals involved in or “responsible for” the suspect conduct as a condition for receiving cooperation credit from DOJ. It is an all-or-nothing proposition with no partial credit given to companies that disclose some, but not all, of relevant information about individual bad actors. What does this mean in practice—and for the community banker in particular? Fortunately, for most of the industry, the likelihood of DOJ arriving on the doorstep is rare. However, like prosecutors, financial regulators wish not to be viewed as soft on the institutions they oversee. The SEC has been criticized for its lack of individual prosecutions. The financial regulators have long had the ability to “remove and prohibit” individuals from the industry, but only through administrative enforcement orders (the consent versions of which often neither admit nor deny wrongdoing) and these are typically pursued only after an agency’s lengthy investigation. Will the ability to consent to regulatory orders without admitting liability be an option in the future? The biggest question about this ever-growing toolbox of enforcement vehicles: when is it enough? With the 2002 Sarbanes-Oxley Act, whistleblowers were empowered and compensated for their efforts. More recently, whistleblowers have received multimillion-dollar bounties under repurposed FIRREA sections. Now the DOJ is encouraging and directing corporations to investigate and turn in their managers. DOJ prosecutors are directed to pursue deals with lower-ranking executives to support cases against those persons’ superiors. Internal investigations, often difficult, will be more so because no one knows whom or what is targeted. More difficult will be those situations where the corporation and the DOJ disagree on the “facts” and what they prove. Holding individuals liable should be difficult—it is a basic premise of American jurisprudence that individuals are innocent until proven guilty. Trying to create shortcuts by transferring the investigatory obligation from the government to employers undercuts that basic right. Enough is enough. 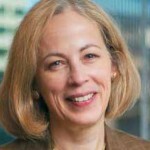 Dawn Causey is general counsel at ABA and a contributor to the "Legal Briefs" column in the ABA Banking Journal.